When it comes to interior design, it's easy to spend hours scouring every corner of the globe to find the next 'big thing'. 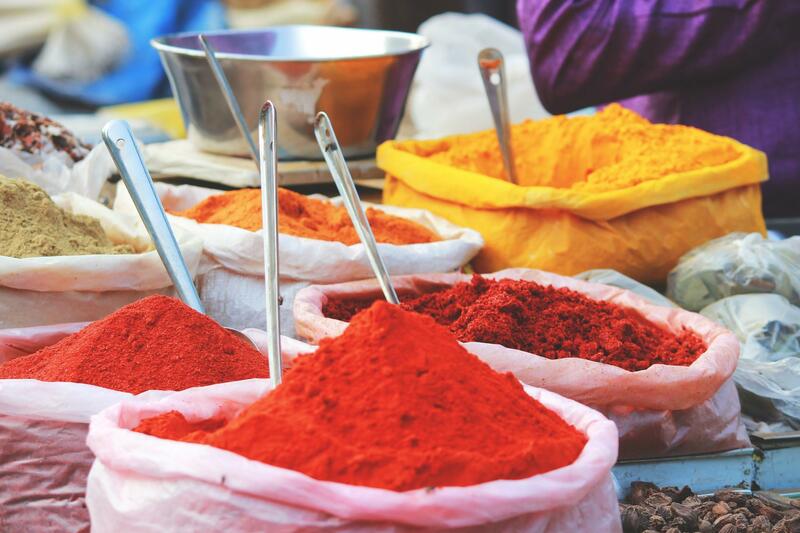 When surrounded by so many rich and vibrant cultures - from the bustling streets of New Delhi to the colourful souks of Marrakech - it seems that iconic design styles are only ever around the corner! We've ventured across the continents to find some of our favourite interior looks on Earth - and provide our key tips to bring these styles into your own homes and spaces. 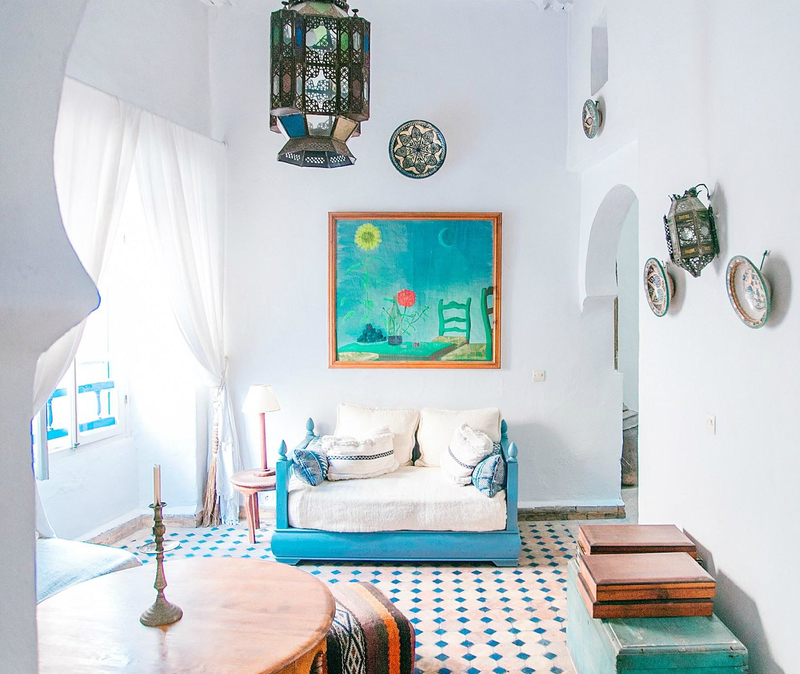 Morocco’s eclectic history as a major crossroads between cultures and religions has given birth to an interior design style oozing with colour, geometry, texture and warmth. From patterned encaustic tiles and colourful Moroccan rugs, to plush furniture and intricate decorations, this bustling and enticing aesthetic often proves a firm favourite for those looking to balance modern and traditional elements. Thanks to its popularity, this style is now relatively easy to achieve - without having to take a trip to North Africa. Focus on patterns, warm colour, organic materials and authenticity - and that means avoiding over-refining any one aspect. To achieve genuine Moroccan style, throw a couple of floor cushions around a wooden coffee table and enjoy dining with a difference. Combining classic Mediterranean design with a nod to its African neighbours, Spanish interior design has seen a resurgence in recent years, thanks to its homely and sophisticated appearance. 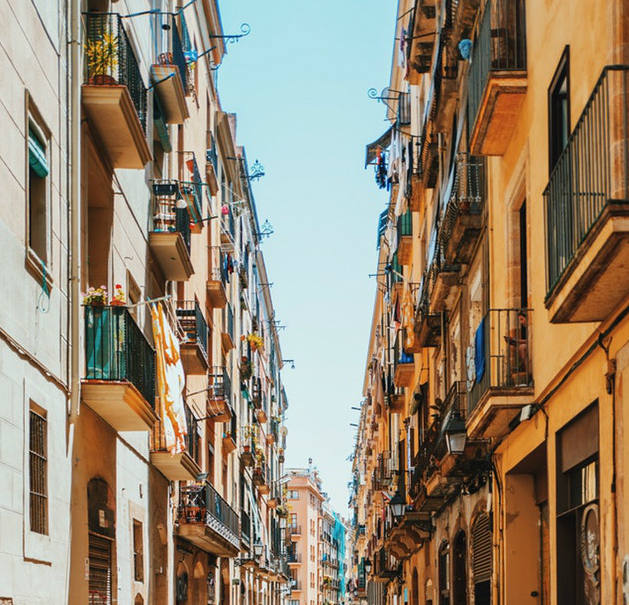 Whether walking through a villa in Lanzarote or an apartment in downtown Barcelona, Spanish interiors are instantly recognisable - which is why they’re often admired by top interior designers the world over. Hallmarks of a Spanish interior include a warm colour scheme (think yellows, reds and oranges), textured walls such as exposed brick or brushed plaster, dark woods like walnut, and seamless tiled floors. 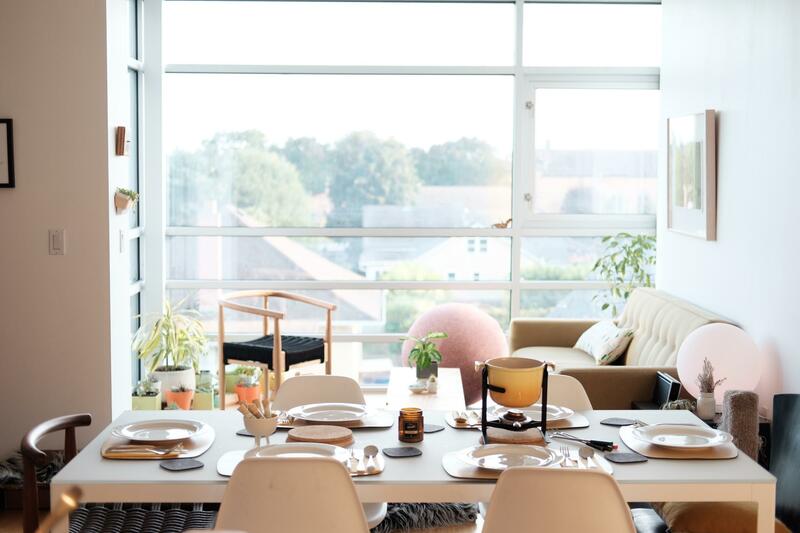 With hygge proving itself as a popular design trend - and lykke following not too far behind - Scandinavian interiors seem to be all the rage; and this look is no less appealing than it was before it reached mainstream success. Championing comfort, functionality and the natural world, the Scandi aesthetic offers an ideal interior type for the modern homeowner. To take steps towards this look, paint walls in a neutral tone and embellish with pops of pastel colours such as yellow, baby blue and blush pink in room furnishings. We’d also recommend exposing or installing wooden flooring, if possible, as well as adding house plants and wooden accents to mirror the Scandinavian love of nature and the outdoors. Simplicity sits at the heart of Japanese interior design, with a focus on natural materials and colour schemes - which results in a peaceful and pared-down style that stands in stark contrast to the busy interiors of Morocco and India. Typical Japanese homes include heavy use of bamboo or other light woods throughout, whether in the bed frames, flooring or cupboards and cabinets. Other colours are few and far between, with natural shades of beige and browns used on surfaces that aren’t made of wood. Large, iconic windows and screens let light flood in to the space; structured shapes, sharp corners and ultra-functional storage cabinets and shelves all work together to create a serene style that embodies relaxation and practicality. Since the 19th Century, India has taken centre-stage when it comes to Eastern-inspired design. Beautifully complex patterns, bold and vibrant colours and handspun fabrics make Indian interiors some of the most captivating anywhere on the globe. An informal atmosphere is commonplace throughout each room, with areas for relaxation and socialising taking up much of the available floor space. In terms of colours, red, orange, blue and yellow all hold cultural significance in India, which makes them popular choices for interiors. Whatever colours you choose to decorate with, be sure to go bright and bold when emulating this style. Whether you’re looking to inject a touch of Asia or Africa, go understated or extravagant, the world is brimming with a diverse range of aesthetics. 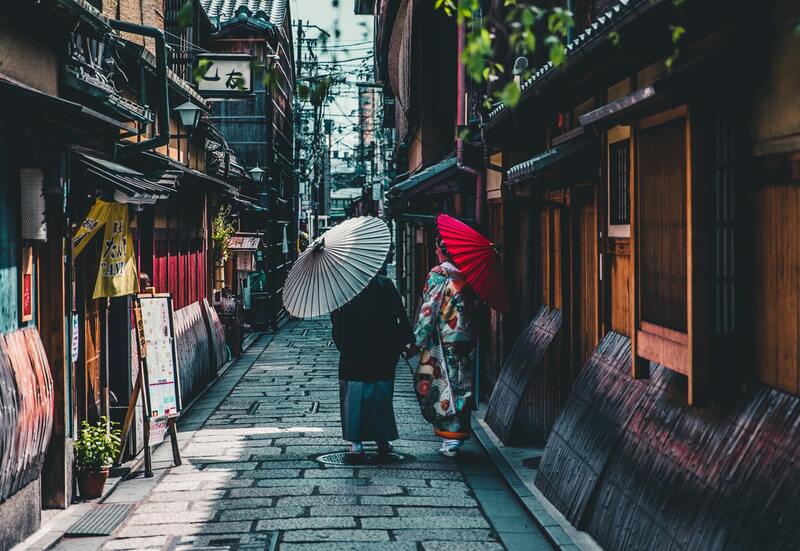 Wandering through a country can provide a real sense of its culture and history - with everything from its bustling streets to renowned architecture playing a part. From the reserved people of Japan to the nature-loving natives of Scandinavia, a peek inside the hallways and rooms of a population offers a telling glimpse of the world outside. Hopefully with our five favourite interior styles, we've shown how the diverse range of backgrounds, faiths and beliefs have shaped each nation’s interiors.